Experience your dog sports more exciting than ever with live results. Always up-to-date with the list of participants. Our livestreams can be played worldwide on PC's and mobile devices in HD and SD-Quality. Exchange your thoughts with other fans of dog sports in the chat. You will never miss a run with the latest time plans! 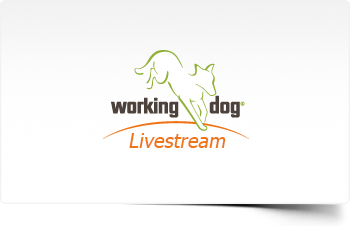 Our livestreams can be played worldwide on PC's and mobile devices in HD and SD-Quality. This way, the users can enjoy the broadcasted event always and everywhere. A powerful server infrastructure in a highly available cloud environment works in the background, which can be modified individually to fit the current needs of the livestream. This makes it possible to serve for thousands of clients at the same time. This professional software solution provides the industry standard in video streaming for many years and brings an enormous felxibility due to its feature-richness. The possibilities are almost unlimited. Because of our redundant transmission technology, we can easily stream to any location via satellite link, LTE and HSDPA uplinks, as well as conventional DSL lines.